Michael J Chase ,ARNP, 55, of Ft. Lauderdale, FL, passed away in the early morning hours of Monday, August 13, 2018. At the time of his death, he was under hospice care at Holy Cross Hospital. Mike was born in Chicago, Illinois on January 19, 1963 and grew up in Austin, Texas. He was the son of Phil and Carole (Deceased) Chase of Austin, and brother of Peter Chase of Lakeway, Texas. Upon graduation from Westlake High School, in 1981, he spent a year as an exchange student in Recife, Brazil, where he became fluent in Portuguese. Upon his return to the states, he enrolled at Southwest Texas State (now Texas State) University to study Business and transferred to the University of Texas at Austin a year later. He graduated from The University of Texas in 1986 with a Bachelor's Degree in Business Administration. After a short stint as a marketing executive, he went back to school to get a Masters Degree in Computer Information Systems. He taught as a TA , at Bentley College, in Waltham, Mass.while working on his degree, which he earned in 1991. From there he went to work, as a systems analyst, for Fidelity Investments in Boston. It did not take long for Mike to realize that he had chosen the wrong career field. He had always been interested in medicine so decided to backtrack and pursue his childhood dream, He enrolled in the Nursing Program at Marymount University, in Arlington, VA and earned a Masters In Nursing Degree in 1996. From there he went to work for the State of Virginia Heath Services Department as a Nurse Practitioner. He was also a member of the U.S. National Health Service Corp and took part in many of their missions. 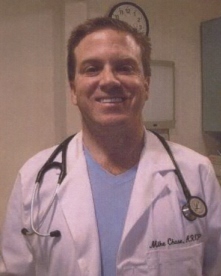 After a few years in Virginia, Mike moved to Florida where he continued his medical career in Naples and Key West. In addition to his love for medicine and helping people, Mike loved languages. He was fluent in Portuguese, Spanish and German and spoke some French. He was also studying Chinese when he became ill. With fluency in these languages he was often called to serve as an interpreter for non-english speaking patients.